Strong, powerful and packed with features – that’s the Iseki TG range of compact tractors. Boasting typical Iseki build qualities that provide plenty of power, the TG5570 will work hard all day, every day. 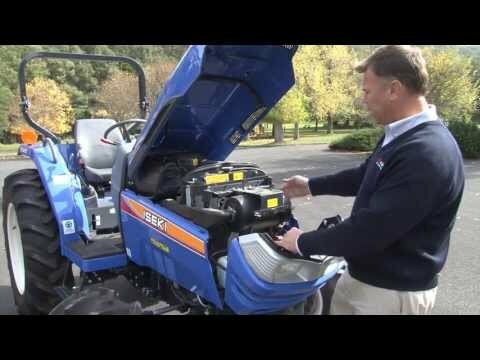 Features on the TG5570 include a 12 x 12 Speed power shuttle transmission giving you directional changes without clutching; large oil immersed multi-disc brakes for longer lasting, accurate and precise stopping; 2955cc 4 cylinder Iseki diesel engine; robust front and rear axle capacities; reinforced chassis to accept a wider range of accessories and the electro-hydraulic PTO which is engaged by flicking a switch. With the TG5570 available in either ROPS or air conditioned cabin – it delivers exceptional quality at a price you can afford – test drive one today!